i recently bought this nails inc set on ebay for £13.99, which i consider a bargain as they are £11 each in the shops. 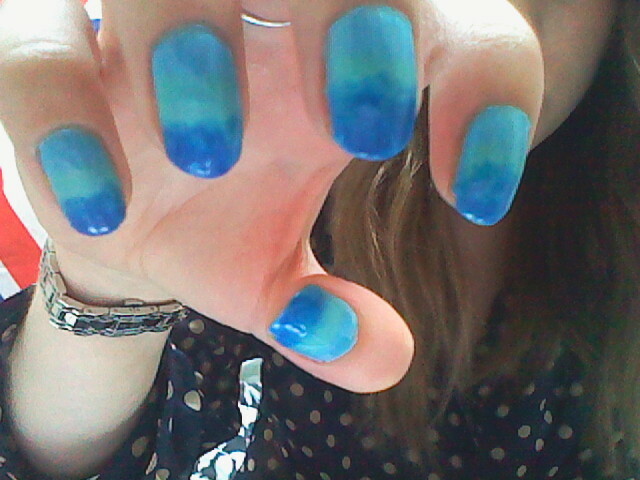 i attempted to do ombre nails, going from light blue to dark blue. unfortunately, i used a green shade to try and make it a bit more ocean coloured, but it’s incredibly similar to the lightest blue. so it doesn’t show up all that well. also, i used it in the middle as i thought it was going to be darker on so now i’ve got a light tone in the middle. the overall effect turned out ok, but i’ll be trying different colours next time i think!